Fairview stands on part of what were extensive holdings of John Jenkins Peacock. Those holdings were acquired between 1828 and 1839. Tiles Office records show title references in Mangrove Creek as early as 1821, although some occupation of the area is almost certain to have occurred earlier. John Peacock was the first registered owner of the property on which Fairview was built and he did construct a residence on the site which eventually had a number of houses and outbuildings thereon. Fairview is of a typical Australiana design and stands proudly on a hill with views across spectacular valley and ranges surrounded by rock faces and bushland and well covered eucalypt forests. A pristine fresh water creek (Mangrove Creek) runs through the valley which abounds in wildlife and birdcalls. Mangrove Creek Dam, upstream from Fairview, provides the water supply to the NSW Central Coast. The road access to the valley is down a winding road with spectacular scenery on both sides and enters the valley via a timber bridge across the creek. 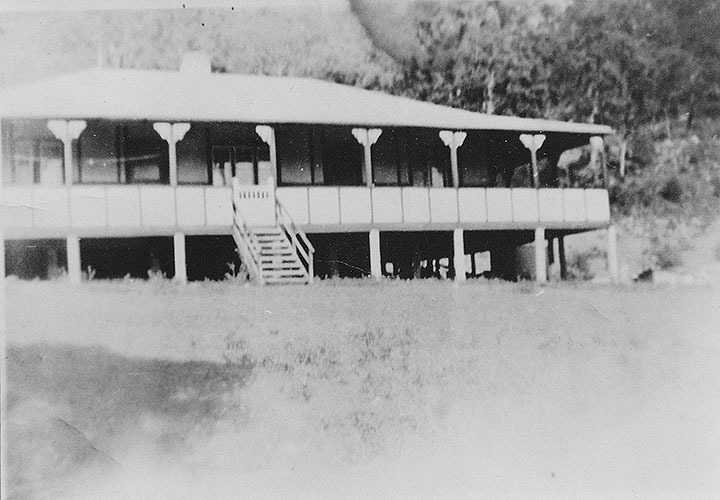 Fairview is also very representative of the many homesteads and farm houses that were formerly located in the valley and is the ONLY remaining structure in this very early area of Australian settlement. 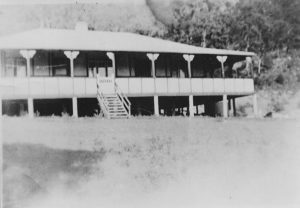 The Central Coast Heritage Committee And Friends of Fairview was formed in response to a recommendation in November, 2006 to Gosford City Council to demolish the Fairview Homestead at Ten Mile Hollow Road, Dubbo Gully, Mangrove Creek. As a result of public representations the proposal was deferred pending consultation but was again submitted to council in April, 2007. At this time, the origins of this committee formed, letters were sent to council, councillors were lobbied and a representative of the group addressed the council meeting opposing the recommendations. Council again deferred the proposal for consultation and also to consider a proposal put forward by Workwise (now BreakThru) to provide a workforce to assist in the restoration of Fairview Homestead. The committee was formally organised from this point and has since undertaken liaison with council representatives and has also pursued a public awareness campaign to gain significant community support. Gosford City Council, on 24 July, 2012 unanimously approved an agreement giving a three year period in which to raise the funds necessary for restoration of Fairview. Fairview has been recommended to council for heritage listing by two separate consultants commissioned by council and also by council’s own Heritage Advisory Committee. Council approved the heritage listing in February, 2014. That listing has now been approved as part of Council’s LEP and is currently proceeding to the Planning Minister for final approval. A legal entity became necessary in order to apply for government grants and to enter into contracts for restoration. This was achieved by incorporation of Fairview Homestead Association in early 2012. The Association is incorporated in NSW as a registered charity, has some state stamp duty exemptions, is exempt from federal taxation and is a deductible gift recipient meaning that donations to the association are tax deductible for the donor. The Management Committee is limited by Constitution to seven persons comprising the President, Vic-President, Secretary, Treasurer and three committee members. These positions are declared vacant at each annual general meeting and the retiring office bearers are eligible for election for a further term together with other persons nominated and seconded by members. Membership is open to all persons nominated and seconded by existing members subject to approval by the management committee.